Tenugui – how Japanese make everyday things beautiful. One thing I admire most about Japanese culture is how it celebrates beauty in everyday things. Modern Tokyo, and I daresay modern Japan, is not beautiful. 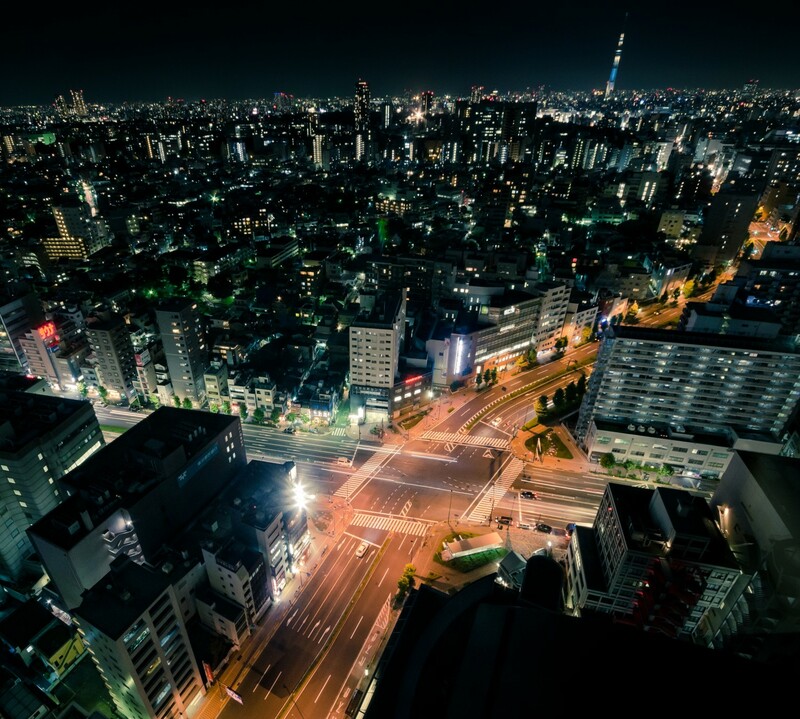 Japan has traded the beauty of wood and paper buildings for the time and disaster enduring qualities of concrete and steel. Old Japan was expected to fall to destruction regularly, by fire, earthquake or other disaster. Modern Japan is built to withstand these disasters but at the cost of the elegance of eras gone by. 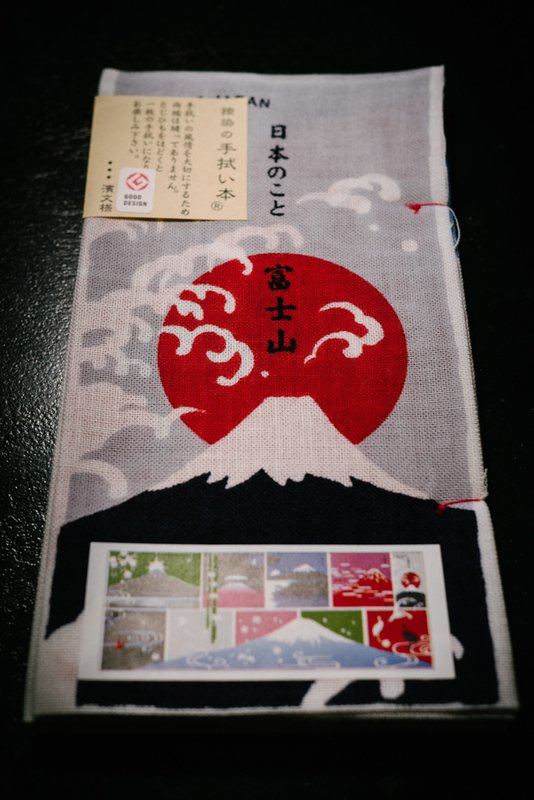 Yet the beauty of Japan remains in the little things, such as the humble tenugui. The tenugui is simply a thin strip of cloth, much longer than it is wide. It is generally made of a thin cotton with unfinished edges that are often already fringing. It can be used for a variety of things, though it has commonly been used as a hand towel for the lack of napkins and paper towels in Japanese establishments, a scarf, a headband on stifling hot Japanese summer days, or to wrap and carry small objects. Based on that description, a tenugui could be any cheap strip of cotton, sold in quantity at the 100 yen shop and thrown away once it was soiled. 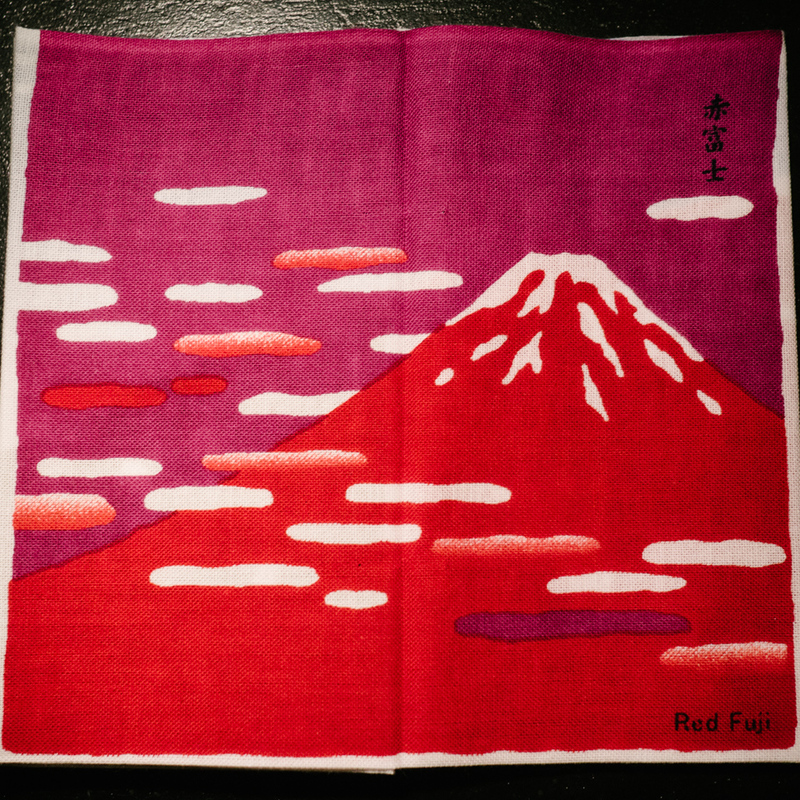 But to the Japanese, the tenugui has become something of an art form. Almost every tenugui has some sort of print on it. Because Japan loves its four seasons, there are often prints depicting symbols or activities of each season, like tonbo (dragonflies) in the Summer, or hana no sakura (cherry blossoms) for Spring. 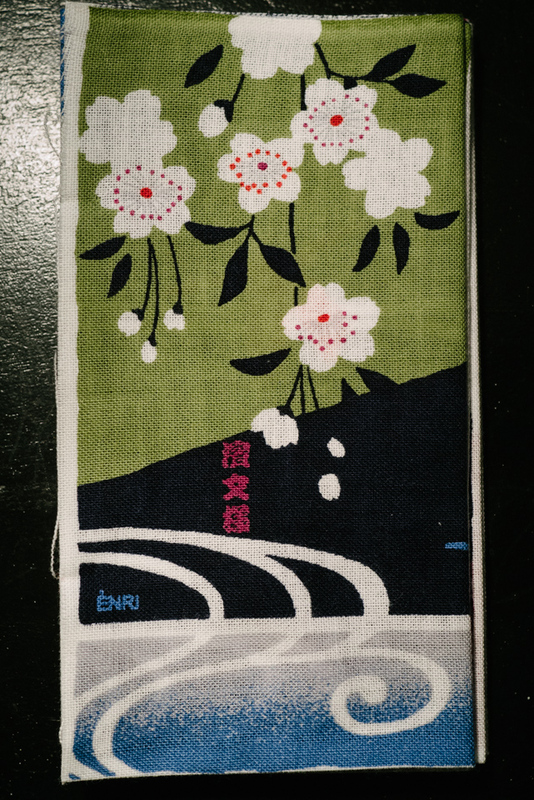 Recently, I received a gift of a tenugui that went beyond delightful into the category of “work of art”. The company that made it is called Hamamonyo and they are located in Yokohama. 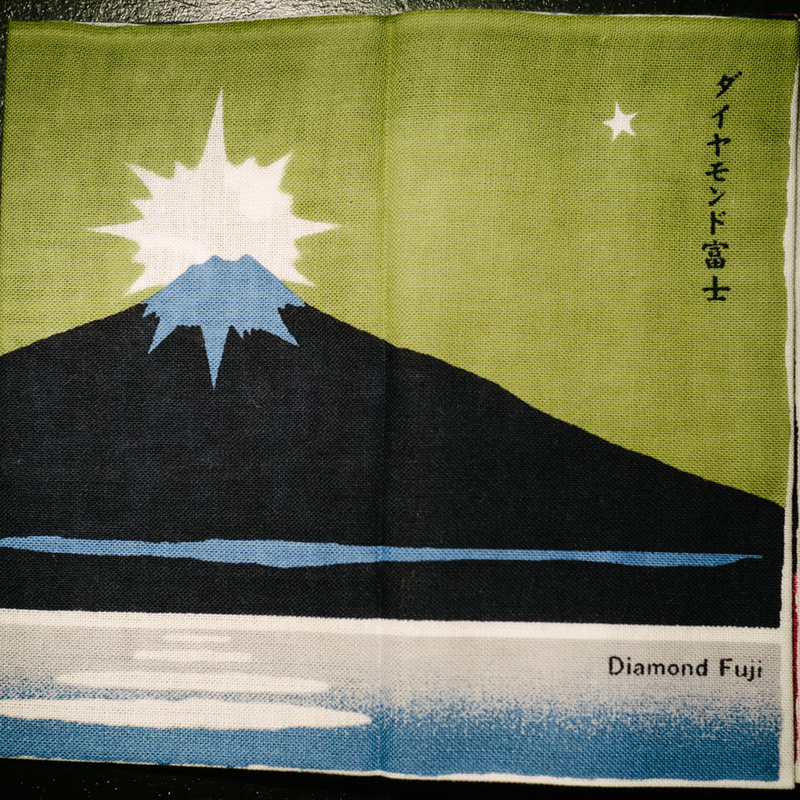 This particular tenugui was called a “book tenugui” because as you unfold it, it reveals different pictures of familiar objects. Hamamonyo apparently garnered a Good Design award, a national design award in Japan for objects and buildings that display exceptional aesthetic qualities. The object in question in Mount Fuji, the universal symbol of Japan. 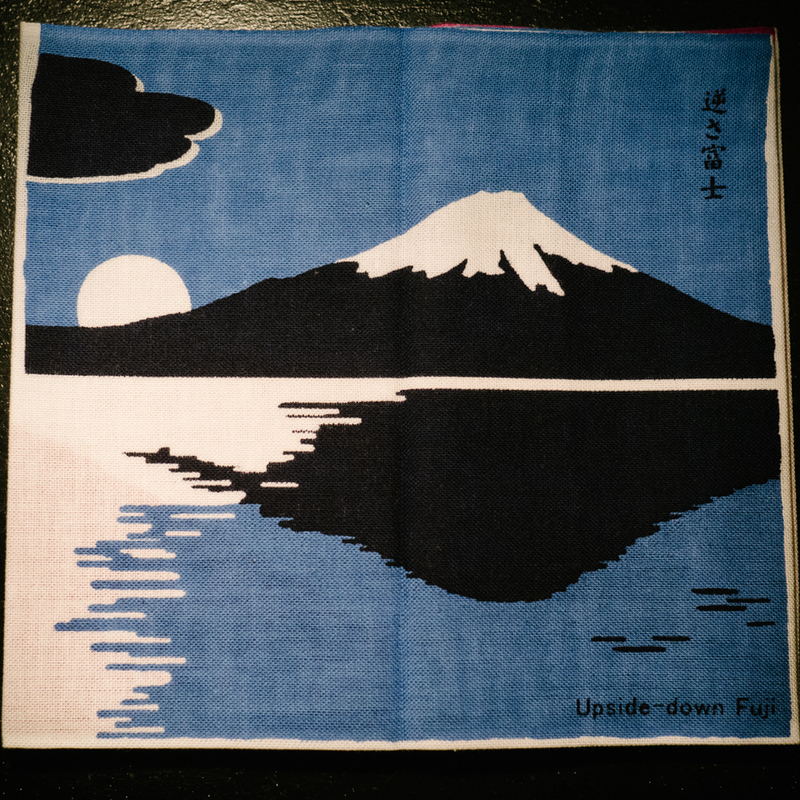 As you carefully unfold the tenugui, it reveals different views of Mt. Fuji that are easily recognizable to those who have seen the great mountain at different times of the year or from different locations around it. The bottom half of the tenugui, once fully opened, reveals a large Mt. Fuji passing through the seasons. In some sense, it is almost too beautiful to use. Yet, that’s the point of Japanese design, that beautiful things are designed to be seen and used. 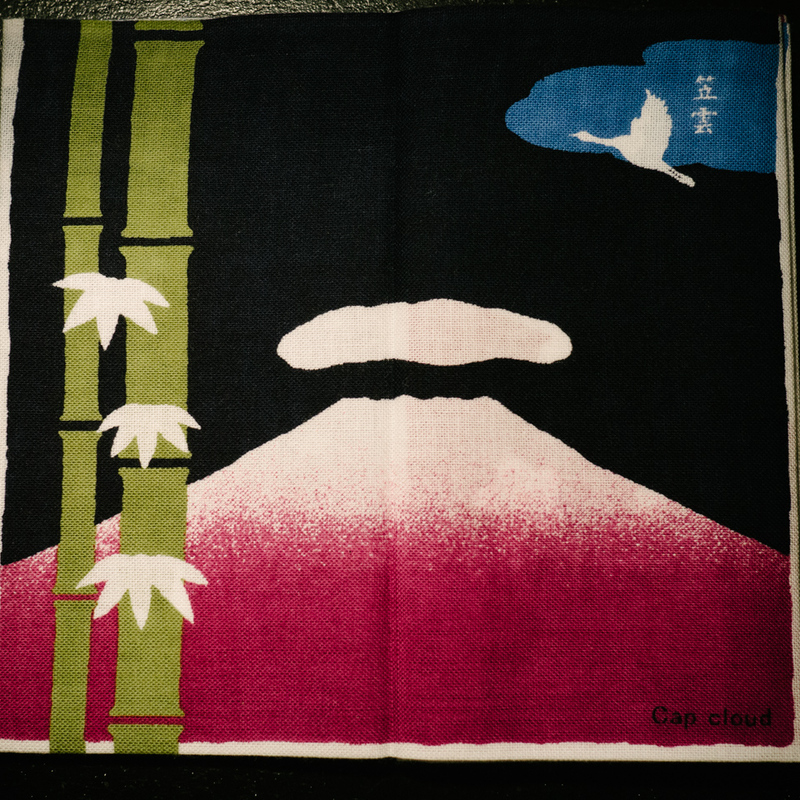 I know when the time comes, I’m going to have a hard time wiping my face with this tenugui, but when I receive my first compliment on it, I know it will be worth it. 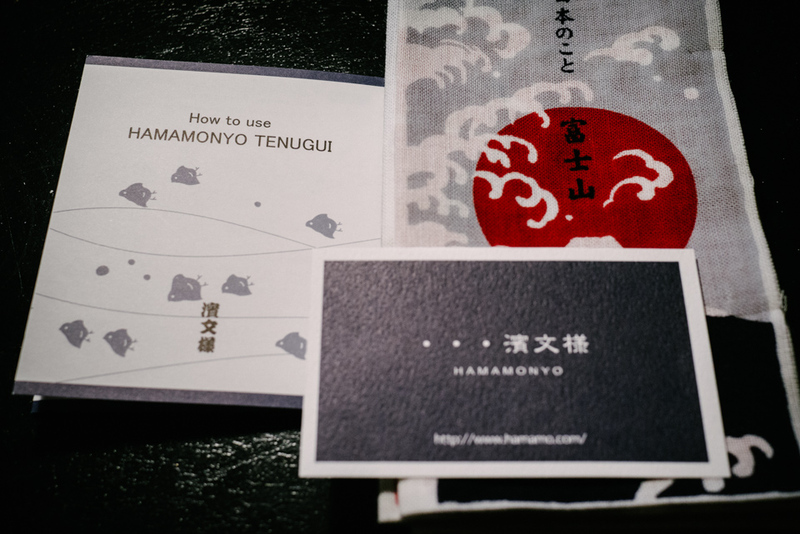 Here are a few more photos of the tenugui “book” as I paged through the different frames.